The evolving attitude in recent days would mark a stark shift from American officials’ frustration at previous efforts by European authorities to collect taxes from Silicon Valley firms. 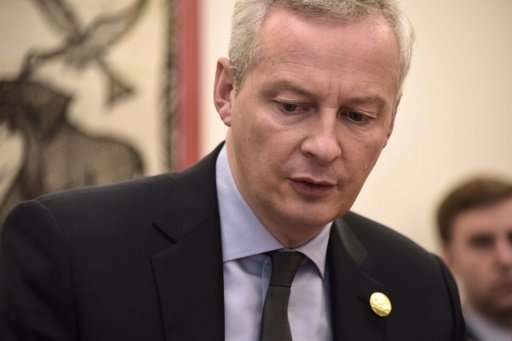 “The United States is open to considering the matter and they understand very well the need for the fair taxation of digital giants,” French Finance Minister Bruno Le Maire told reporters on Friday. He spoke after meeting with US Treasury Steven Mnuchin on the sidelines of the annual meetings of the World Bank and International Monetary Fund. A Treasury Department spokesman on Friday referred AFP to a statement made earlier this month, according to which American officials remain “deeply concerned” about the matter. The administration of former President Barack Obama was outraged in 2016 when European authorities decided to force iPhone maker Apple to pay $14.5 billion in back taxes after the company negotiated highly favorable tax arrangements with the Irish government. But, according to Pascal Saint-Amans, director of the tax policy and administration center at the Organization for Economic Cooperation and Development, Washington’s attitude has changed in recent days. The European Commission is due next year to present proposals for taxing tech giants such as Google and Apple, and France is also threatening to impose far more punishing taxes—not on profits but on corporate revenues, according to Saint-Amans. Washington knows “countries will act unilaterally and so they prefer to be involved themselves,” Saint-Amans told AFP. Headquartered in Paris, the OECD has worked on this subject for several years, but had so far encountered American officials’ firm refusal to discuss it. The OECD will present G20 finance ministers with a report on the subject in April, aiming for a long-term solution.